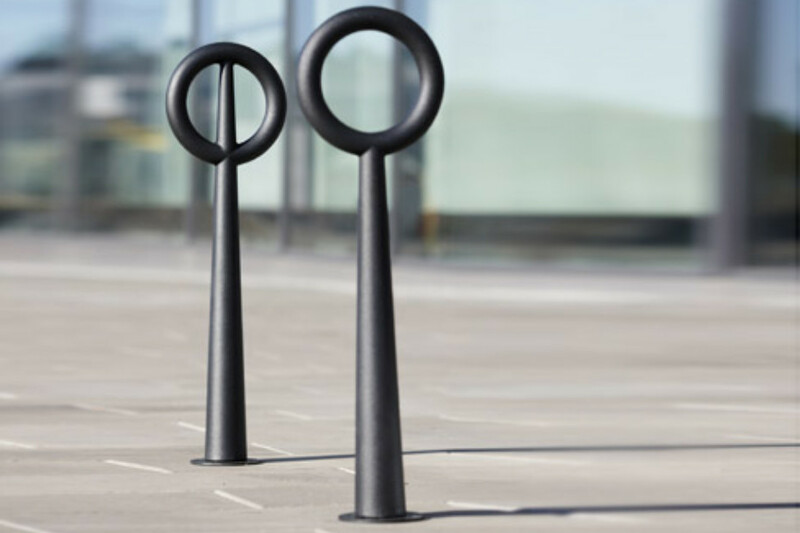 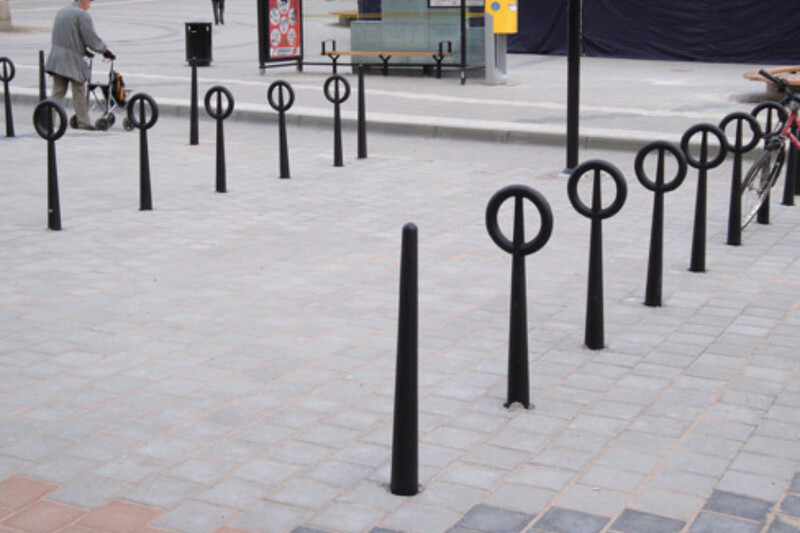 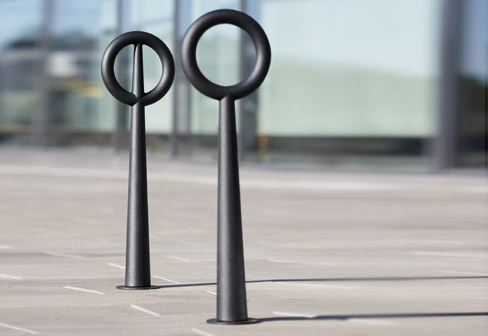 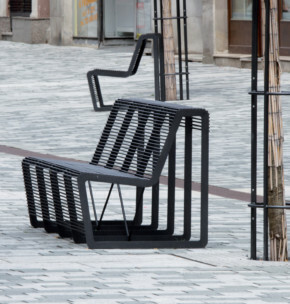 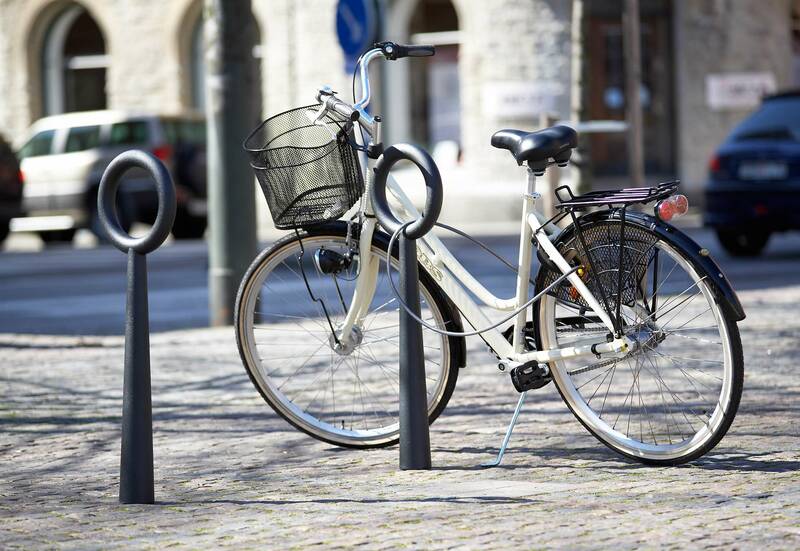 The Hoop bicycle stand is a multi-functional urban design that can also function as a bollard. 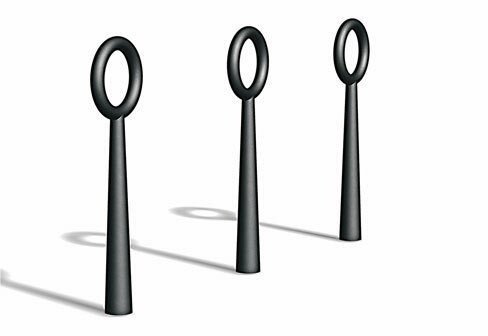 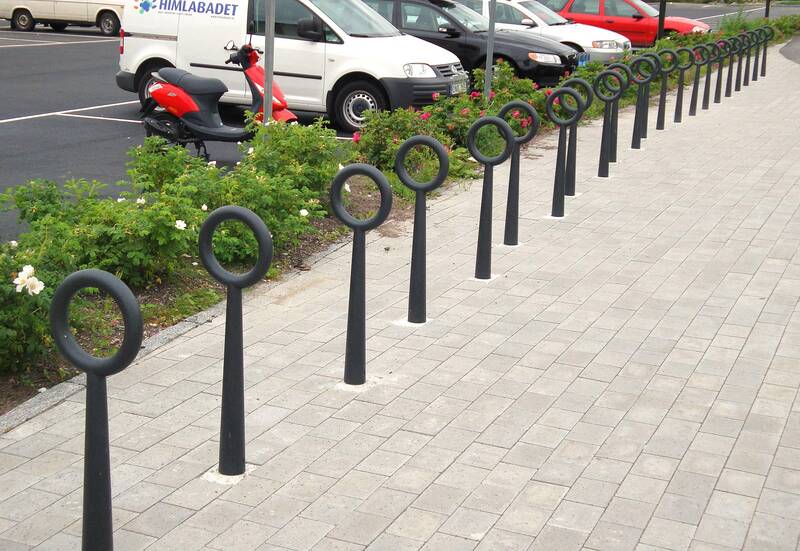 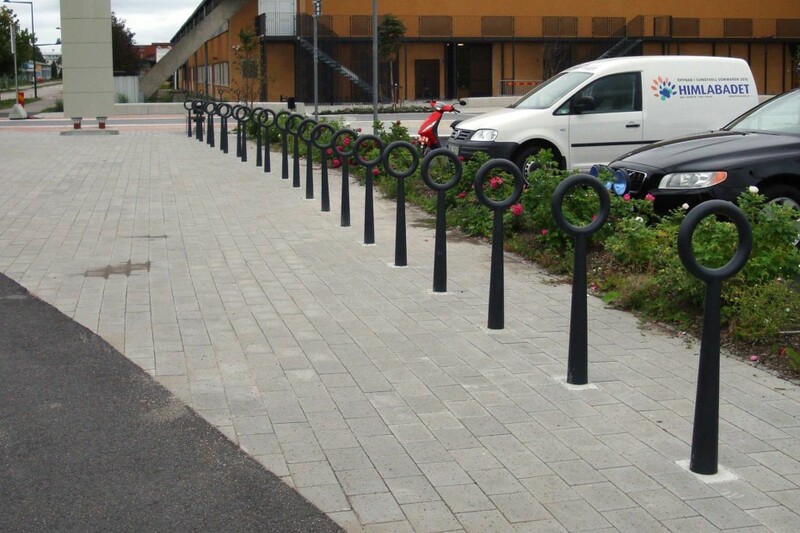 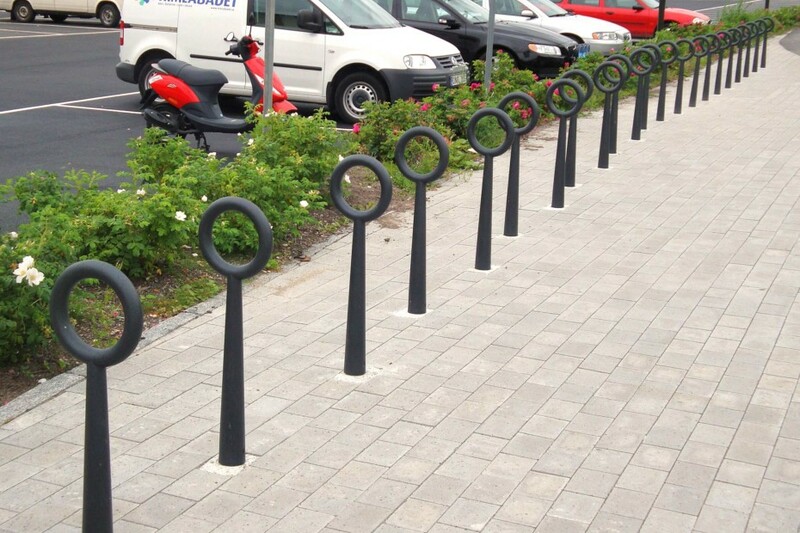 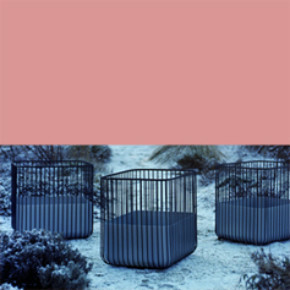 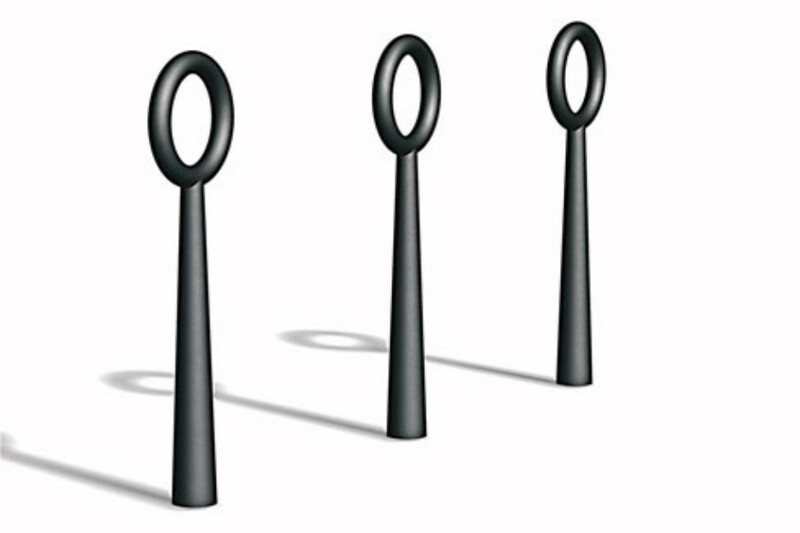 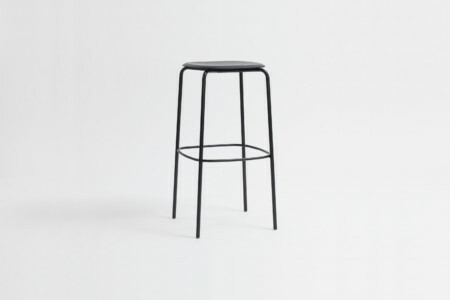 The design is simple, consisting of a single aluminium post where multiple bicycles can be securely fastened. 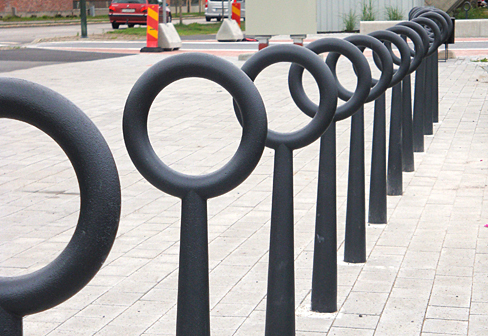 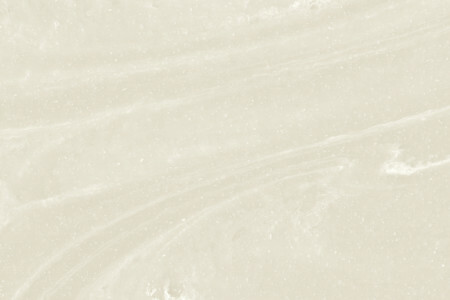 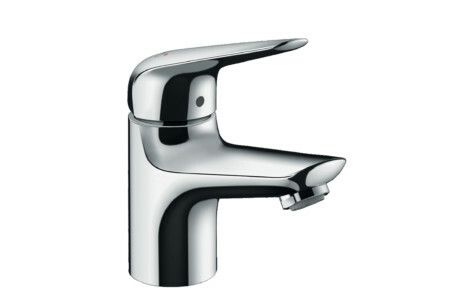 The upper ring is positioned so that locks can be attached securely from any direction. Like threading a needle, locks, chains and steel cables are easily wound through the ring or attached to the base.